Ranger Energy Services, Inc. (RNGR) could be a solid choice for investors given the company's remarkably improving earnings outlook. While the stock has been a strong performer lately, this trend might continue since analysts are still raising their earnings estimates for the company. The upward trend in estimate revisions for this company reflects growing optimism of analysts on its earnings prospects, which should get reflected in its stock price. After all, empirical research shows a strong correlation between trends in earnings estimate revisions and near-term stock price movements. This insight is at the core of our stock rating tool -- the Zacks Rank. The company is expected to earn $0.12 per share for the current quarter, which represents a year-over-year change of +133.33%. The Zacks Consensus Estimate for Ranger Energy Services, Inc. has increased 76.19% over the last 30 days, as one estimate has gone higher while one has gone lower. For the full year, the earnings estimate of $0.24 per share represents a change of +130.77% from the year-ago number. The revisions trend for the current year also appears quite promising for Ranger Energy Services, Inc. with two estimates moving higher over the past month compared to one negative revision. The consensus estimate has also received a boost over this time frame, increasing 162.96%. 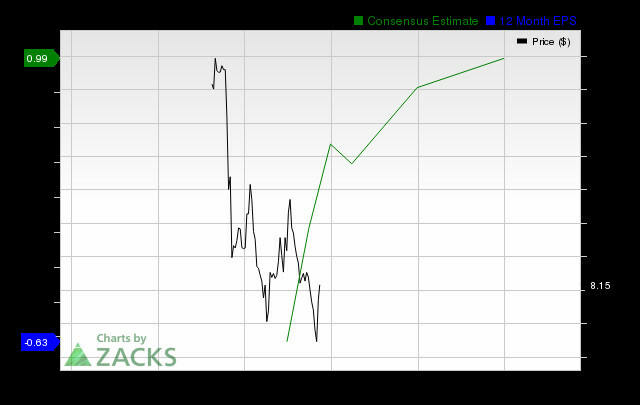 Thanks to promising estimate revisions, Ranger Energy Services, Inc. currently carries a Zacks Rank #1 (Strong Buy). The Zacks Rank is a tried-and-tested rating tool that helps investors effectively harness the power of earnings estimate revisions and make the right investment decision. You can see the complete list of today's Zacks #1 Rank (Strong Buy) stocks here. Ranger Energy Services, Inc. shares have added 8.7% over the past four weeks, suggesting that investors are betting on its impressive estimate revisions. So, you may consider adding it to your portfolio right away to benefit from its earnings growth prospects.